The Football Club has relaunched it’s popular “Girls Only” coaching sessions on Monday evenings, based each week on the Club’s new 3G pitch, offering the best facilities in the area. 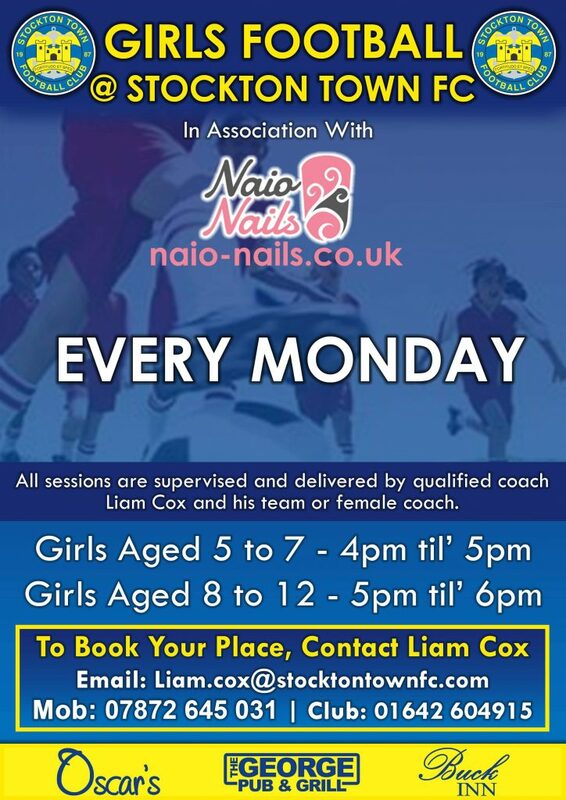 The Club has already attracted a sponsor for Girls Football within Stockton Town, Stockton based Naio Nails. The Club will be looking to recruit players to form new girls teams for the new season starting in Summer 2019. If your interested in playing and being involved then get in touch.